Puerto Rico’s energy grid took such a severe blow from deadly Hurricane Maria that restoring power to everyone may take months. The entire system is down. No one on the island has power from utilities. The impact of the storm on the island territory won’t be realized until officials can do a flyover and see what remains. 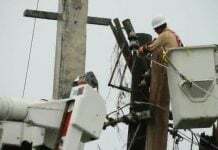 Rosselló said officials think some power stations are not badly damaged, but the distribution system is ruined. At least one person died in the storm when a board was ripped from the house it had been nailed to by the wind and hit a man. But the number of casualties in some areas is unknown because it is hard to communicate. Maria, now a Category 3 hurricane since early Thursday, has ravaged the Caribbean over the past few days, wreaking devastation on Dominica and the Virgin Islands before slamming into Puerto Rico. And the threat is not yet over. 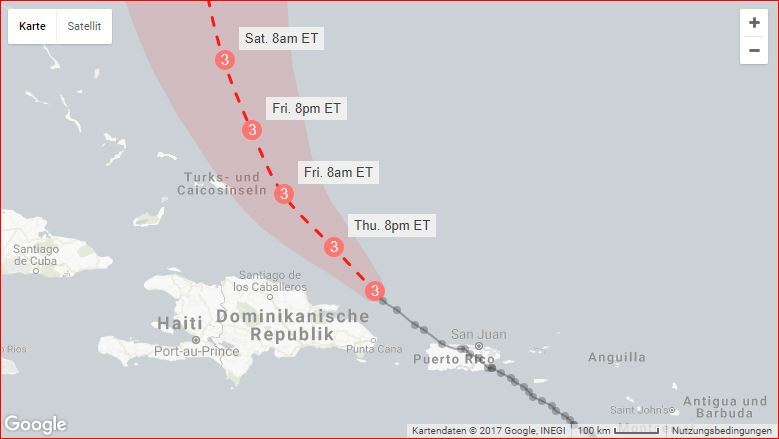 A hurricane warning is in effect for the Turks and Caicos, the southeastern Bahamas and parts of the Dominican Republic. 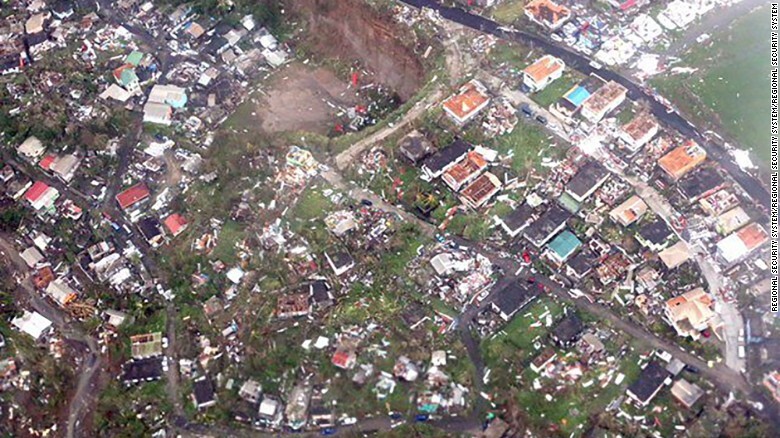 On the island of Dominica, 14 people had died. The island is out of power, food and water. 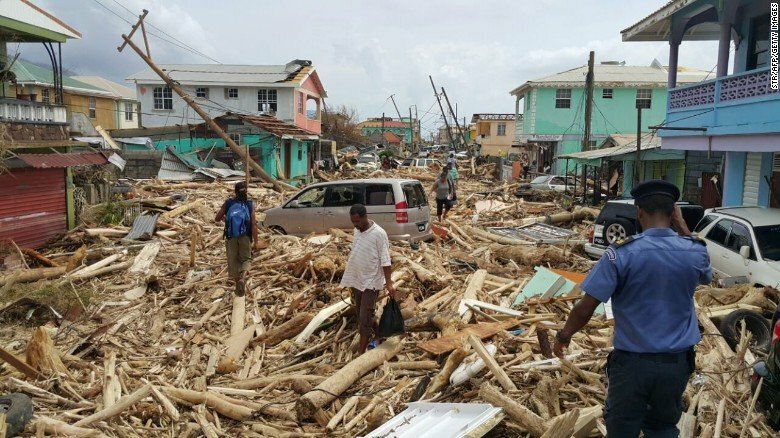 People have “gone into survival mode,” with widespread looting on the island. Hundreds of homes have been visibly flattened or damaged. Many had roofs torn off. The landscape has been stripped bare. Thousands of trees have been snapped at their base and those still standing are devoid of leaves. Dominica a lush green paradise is now brown and lifeless. Now that Maria has moved past Puerto Rico, search and rescue teams are taking to the country’s darkened streets. 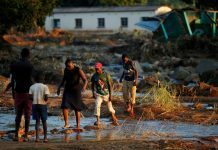 The devastating winds had died down to a whisper late Wednesday and the flooding rains were just a drizzle, but getting around was difficult due to widespread damage and no electricity except from generators. The storm caused widespread flooding and ripped trees out of the ground. More than 10,000 remained in shelters Wednesday night. This is total devastation. Puerto Rico, in terms of the infrastructure, will not be the same. … This is something of historic proportions. A nightly curfew from 6 p.m. to 6 a.m. will take effect Wednesday evening and end Saturday morning. Maria is next expected to pass by the Dominican Republic and the Turks and Caicos Islands, causing dangerous storm surge and rainfall. Dangerous storm surges “accompanied by large and destructive waves” will raise water levels 10 to 15 feet above normal tide levels in the hurricane warning areas of the southeastern Bahamas and the Turks and Caicos. 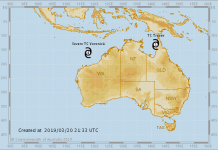 The islands could also see as much as 20 inches of rain. Some long-range models say Maria could move toward the North Carolina coast as it moves north. 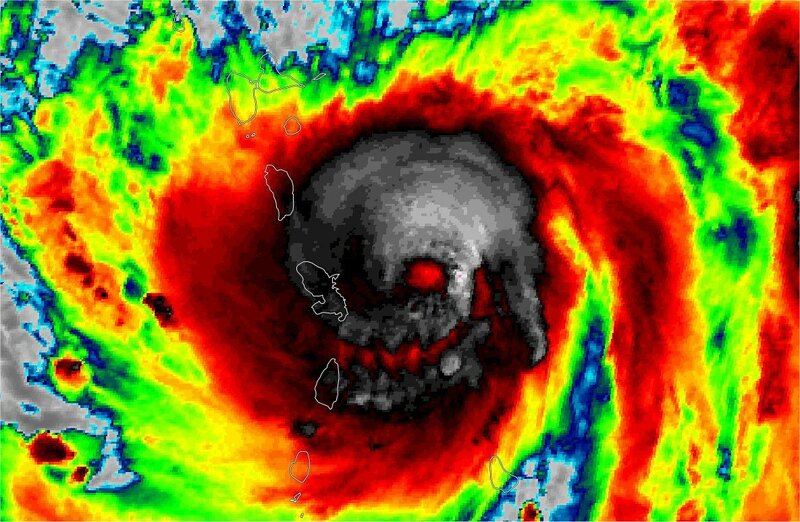 CNN Meteorologist Tom Sater said people should keep an eye on the storm. Maria became the first hurricane of Category 4 strength or higher in 85 years to make a direct landfall on Puerto Rico. The hurricane slammed the US territory with such intensity, it broke two National Weather Service radars there.